Take that bottle of nasty canola-laden Italian dressing out of your fridge, pour it down the drain and recycle the container. 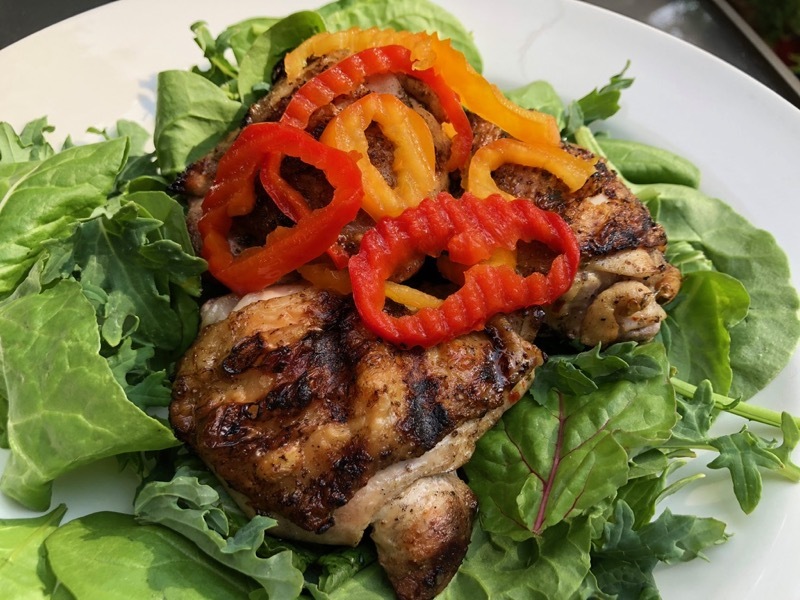 Now, get some bone-in (for collagen) skin-on (for more collagen and flavour) chicken thighs or legs and make this recipe. You’re welcome. Combine all ingredients except chicken in a small bowl. Place the chicken in a zipper seal freezer bag and add the marinade mixture. Remove as much air as possible and seal. Refrigerate for four hours or up to overnight. When ready to cook, preheat your outdoor grill on high. Turn off one side of the grill and place the chicken skin-side-up on the cool side. Close the lid and cook until the internal temperature reaches 75C. Turn the chicken skin-side-down on the hot side and grill with the lid open just to brown the skin.